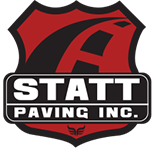 Commercial Services - Statt Paving Inc.
We obtain all permits and requirements to start and complete job. © 2017 Statt Paving. All Rights Reserved.